Total Living Area: 2000 Sq. Ft.
First Floor: 2000 Sq. Ft.
Width: 63 Ft. Depth: 62 Ft. 8 In. Main Level: 2000 Sq. Ft. 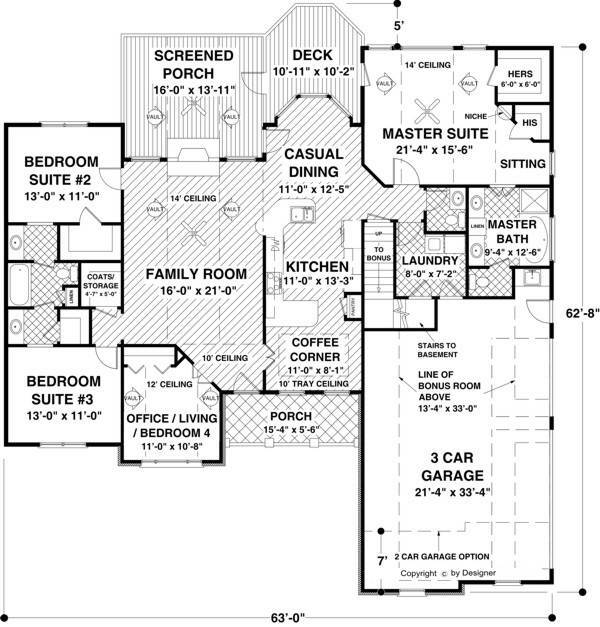 Bonus Room: 495 Sq. 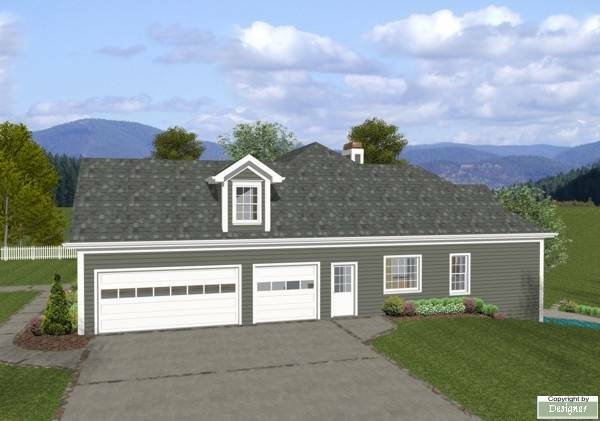 Ft.
We've integrated our customer's most requested features into a mid-sized ranch in the creation of this attractive new design. 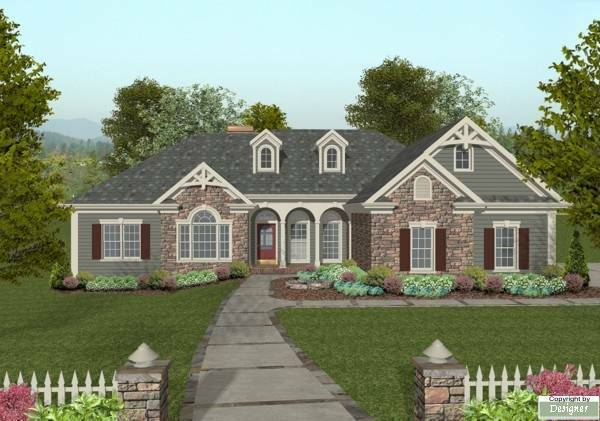 The Craftsman style siding and stone exterior is accented with a "Palladian" window, dormers, multi-level trim and an inviting front porch. 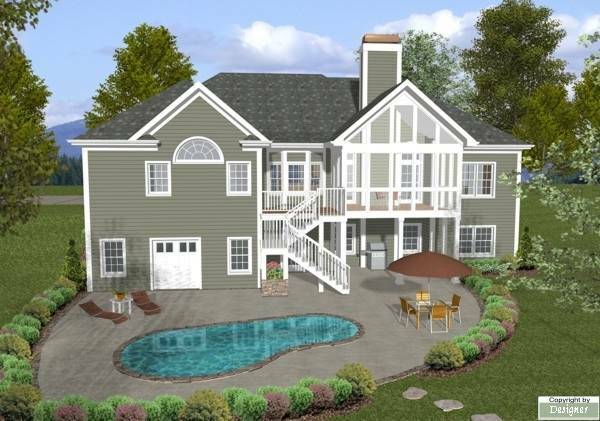 A flexible office/living/4th bedroom, an exquisite master suite, a 3-car garage with a utility sink, and a large screened porch are sure to make this 2000 square foot home irresistible.